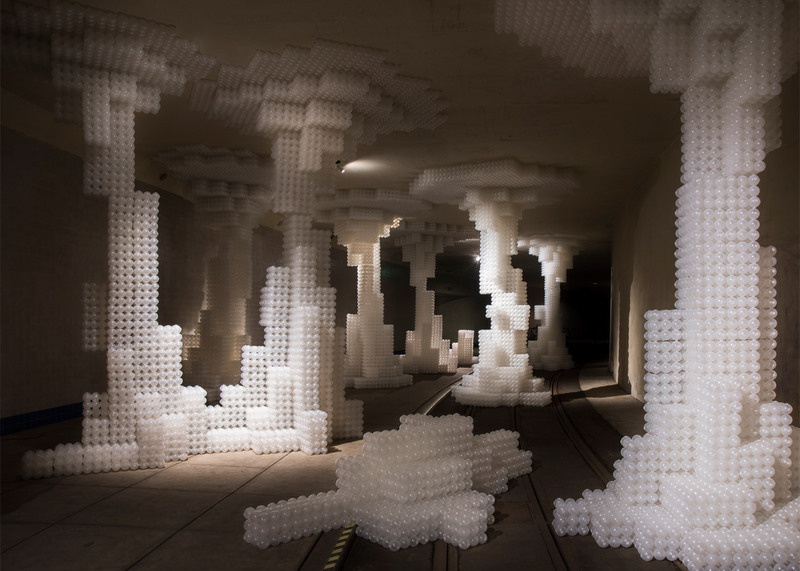 New York firm Hou de Sousa has created an interactive installation in a Washington DC subway station, using over half a million plastic spheres glued together to form building blocks (+ slideshow). 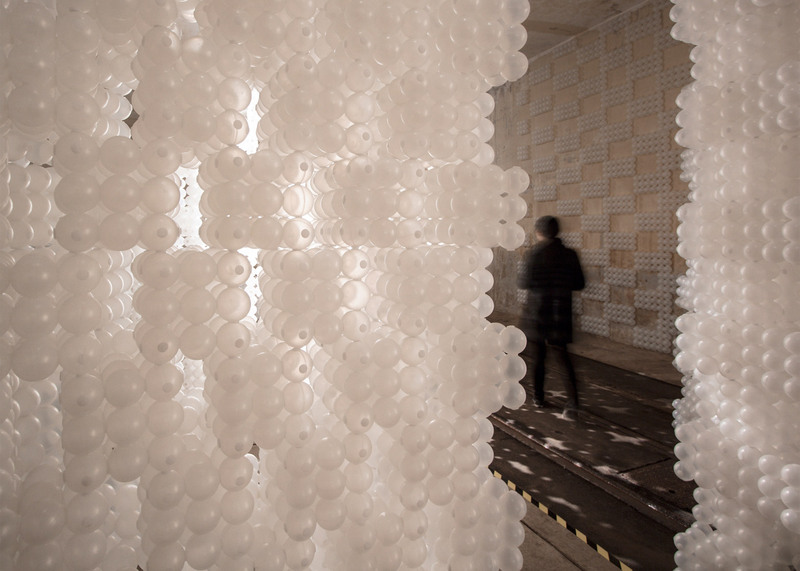 The intervention called Raise/Raze invited visitors to construct and deconstruct the interior of a defunct underground tunnel, using block-like modules made of glued-together plastic balls. Hou de Sousa was chosen as the result of an architectural competition organised by the new public gallery in collaboration with the National Building Museum and The Phillips Collection. 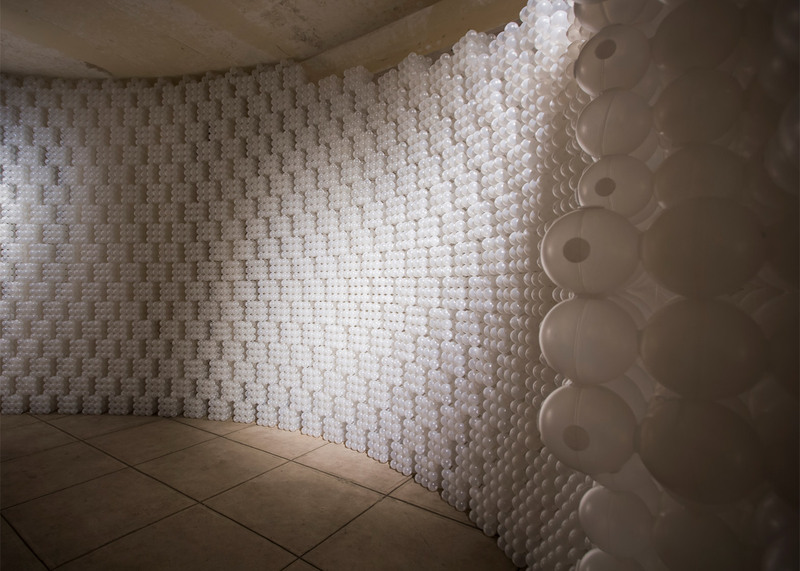 It was built as the inaugural event for Dupont Underground – a new art venue in the city. 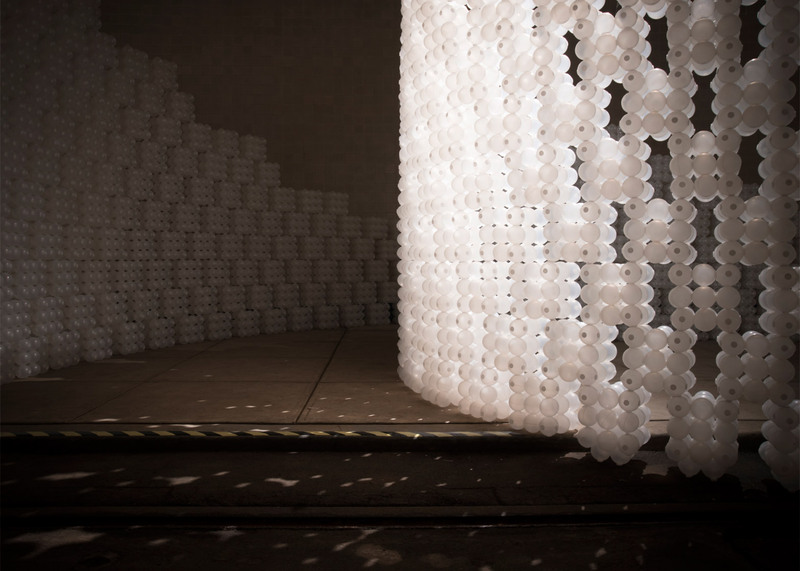 The materials were repurposed from US studio Snarkitecture's intervention that turned the National Building Museum's Great Hall into a "beach". 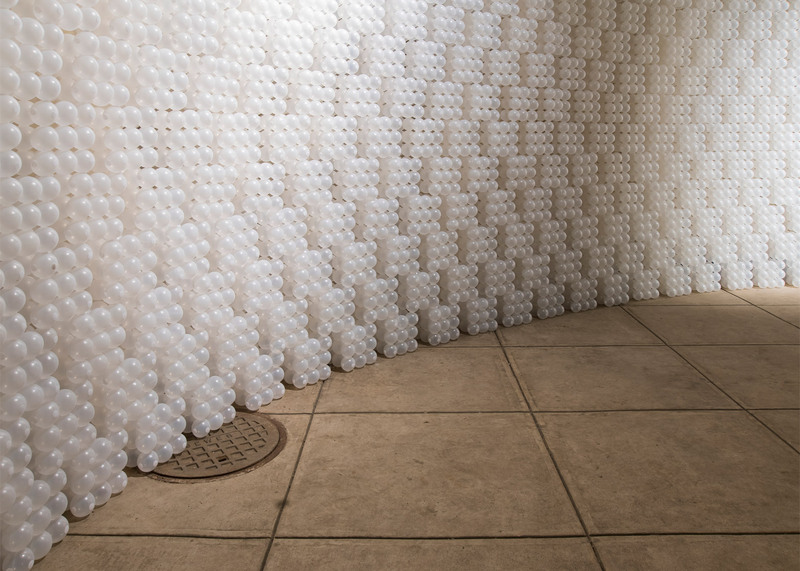 To build the installation, principals Jia Min Nancy Hou and Josh de Sousa aggregated 650,000 plastic balls into 24,000 cubes of 27 balls each. Once grouped together, the assemblage was quite strong – a single cube could bear the weight of an adult standing on it, according to the designers. In the design, Hou de Sousa "sought to design a dynamic re-usable system, rather than a specific form". Visitors were therefore welcome to modify the layout of the installation at will. "Raise/Raze is like sand in a massive sandbox, something akin to a life sized Lego set, or a real-world version of the popular video game Minecraft," said the designers. 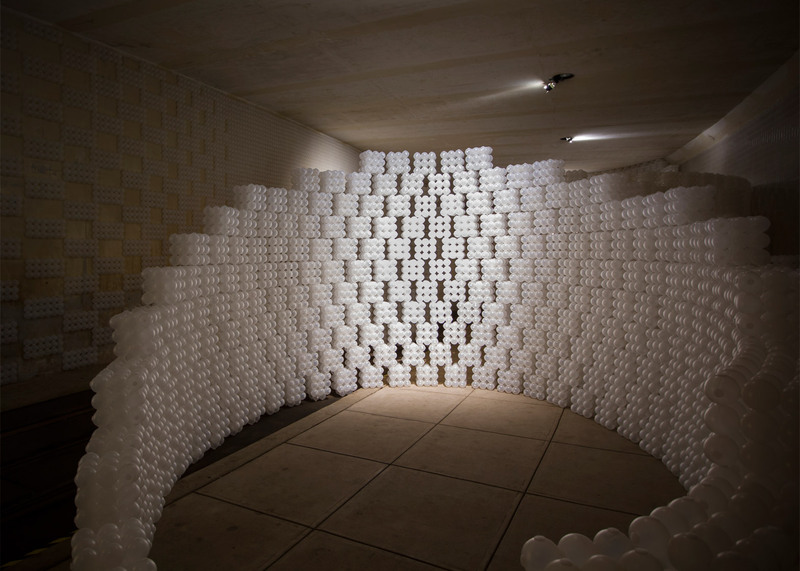 While the composition of the installation's spaces were defined at the outset, it shifted and changed over time. 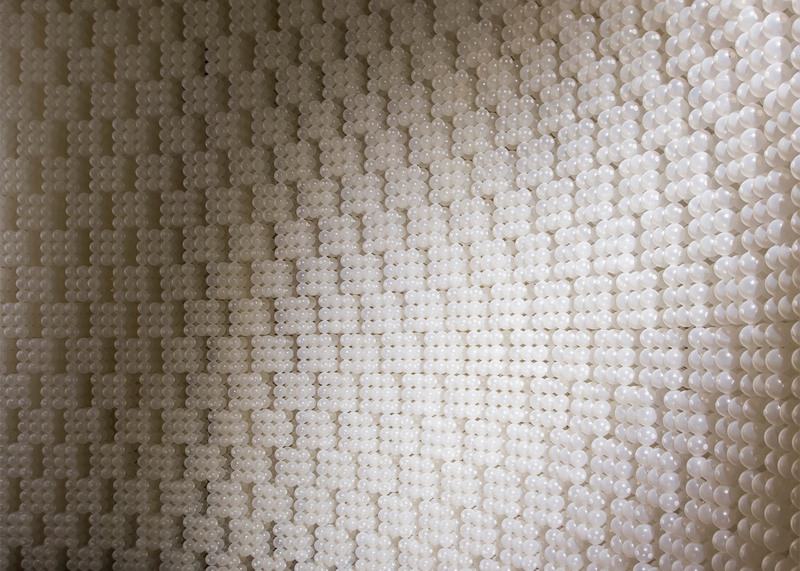 Each cube could attach itself to other adjacent cubes with hook and loop fasteners – similar to Velcro – so they were easy to rearrange. 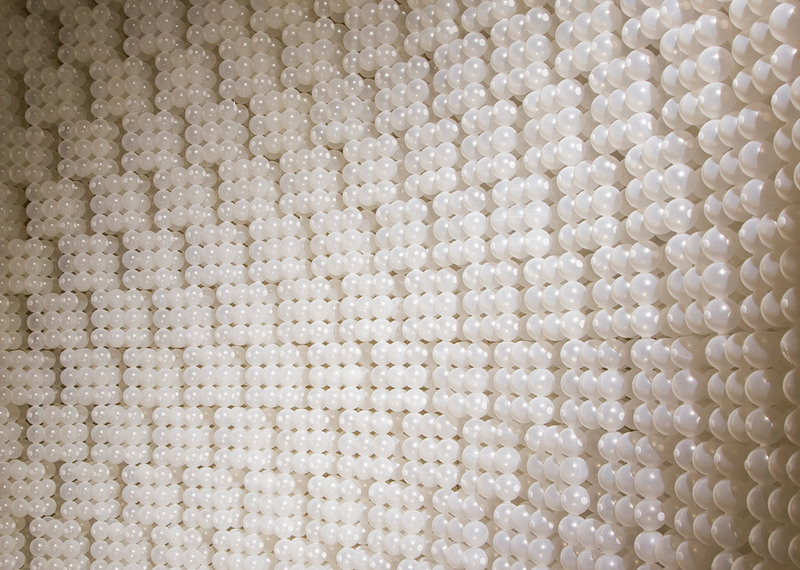 Before settling on the use of glue and fasteners to connect the plastic balls, the studio worked through a series of mockups using different materials and joining techniques, even attempting to use magnets to hold the balls together. The final solution relied on the geometry of the cubes for stability. 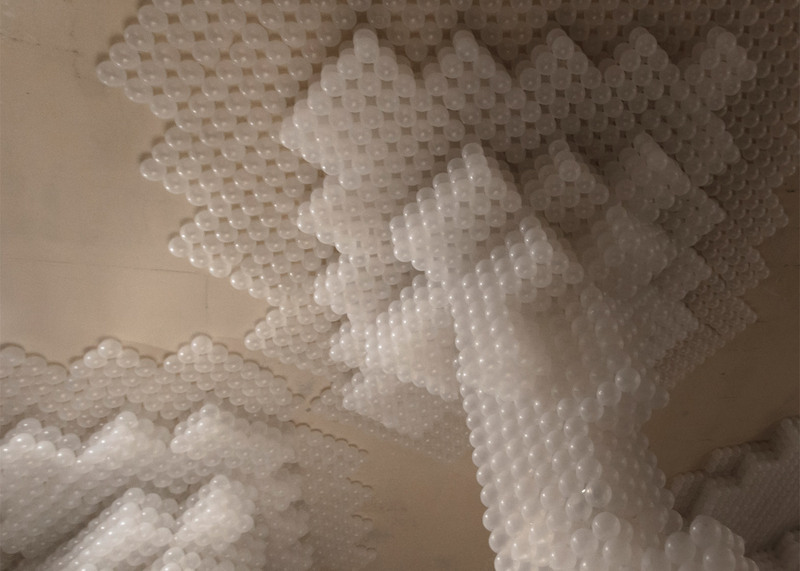 Instead of connecting the balls to each other perpendicularly, the spheres were packed in a hexagonal pattern. This multiplied the total number of connections within a cube, making it much sturdier. Raise/Raze was on display for the entire month of May and was taken down 1 June 2016. 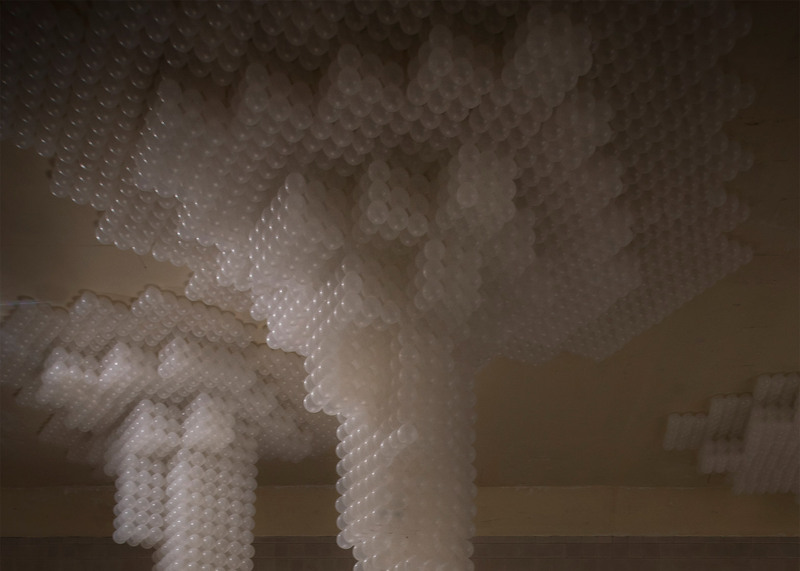 Similar translucent balls were used to create a dynamic canopy over a pavilion in Israel.